Age Limit: Candidates age should be 32 years for S.No-1, 2, 27 years for S.No-3, 30 years for Civil, Electrical & Mechanical, 27 years for Quantity Surveying and Contract S.No-4, 30 years for S.No-5 to 9 as on 01-01-2018. Age relaxation is applicable by 05 years for SC/ ST, 03 years for OBC, 10 years for PH candidates as per rules. For more information refer the notification. Educational Qualification: Candidates should have Degree or Diploma in Civil & Mechanical Engineering for S.No-1, Diploma in Civil, Electrical or Mechanical Engineering for S.No-2, 5, 9, Three years Diploma or equivalent in Civil Engineering for S.No-3, Degree in or Three years Diploma in relevant disciplines with Two years experience for S.No-4, Three years Diploma in civil, Electrical and Mechanical engineering or equivalent for post-6, Diploma in Civil, Electrical Engineering for post-7, Diploma in Electrical & Mechanical Engineering with 02 years experience for S.No-8 from a recognized University or Institute. Application Fee: Candidates are required to pay RS. 100/- through SBI challan/ SBI Net banking or through credit/ debit cards of any bank. No fee for All women candidates, SC, ST & PH candidates. 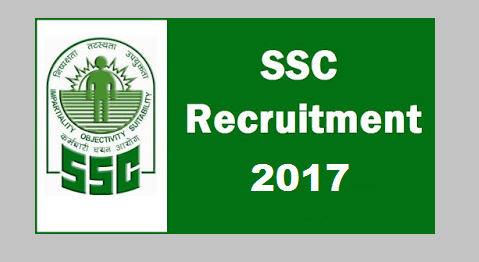 How to Apply: Eligible candidates can apply online through the website www.ssc.nic.in from 21-10-2017 to 17-11-2017. 4. Click on “Click Here to Apply”—–>”Register”. I having two years of experience in a well known company as an Electrical engineer and also am completed the Electrical cad design and Auto cad . Also completed a workshop regarding switch gears,circuit breakers and protective relays.Test program to the third party vendors and contact manufacture.Also a mentor and train the junior test engineers. Assist with selection of new test equipment and maintain the testsetup. Created and organized support documentation used in the daily maintenance and repair activities o product test engineers. Looking forward positively to your response and thank you for the consideration.